As parents, we influence what our child eats and how they feel about food. Food culture deeply impacts how we feed our children. Sadly, the impact of this diet on children is heartbreaking. Eating this way puts children at risk for obesity and this has long-term effects on their physical, social, and emotional health. The social forces encouraging parents and children to eat an unhealthy diet are enormous. Social and peer pressure to eat foods that are today associated with childhood: a lot of sweets and junk foods (low quality foods that have low nutritional value and are highly processed). Food advertising for children is ubiquitous and frankly shameful. The confirmation that eating processed food is an addictive experience. It is not a matter of willpower, sadly, junk food is scientifically engineered to get us and our children hooked. The sheer convenience of processed foods paired with and our busy our modern lives. It is possible for us to give our children healthy food everyday and here is how. We can start do something that is simple and easy; give them more minimally processed foods every day. Minimally processed refers to food that is as close as possible to how it appears in nature. Foods that are minimally processed maintain their nutritional value and do not have additional harmful ingredients. Fruits: apples, banana, oranges, mangoes, berries, grapes, pears and cherries, etc. There are tons of fruit products out there: fruit leather, fruit at the bottom of yogurt, fruit juices, fruit smoothies, popsicles, fruit cups, etc. None of these processed fruit products are as good for our children as whole raw fruit. Whole fruit is filed with fiber and vitamins. Read here why fiber is so important for us. Vegetables: cauliflower, cucumber, tomato, lettuces, cabbage, kale, zucchini, mushrooms, peppers. Vegetables are a must in any diet and especially for children. Your child might not like all vegetables but they can learn to love a few. 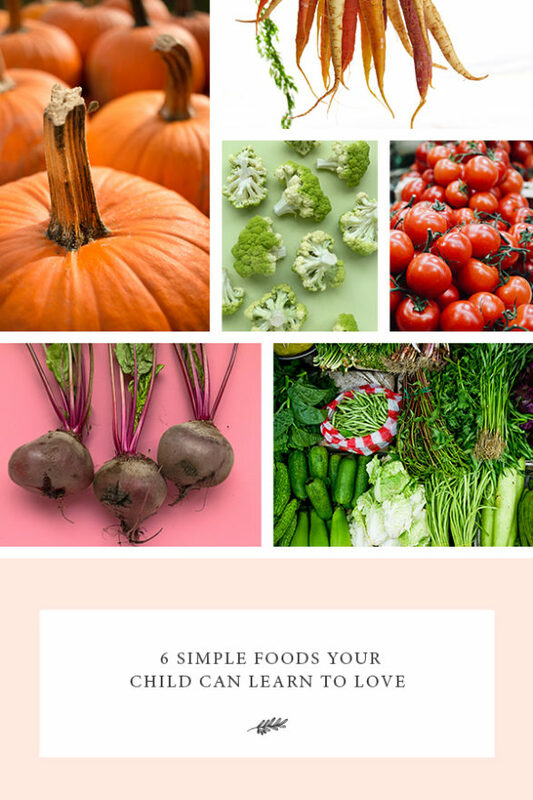 Vegetables are filled vitamins, minerals and fiber. Starchy vegetables: beets, carrots, corn, green peas, parsnip, plantain, pumpkin, winter squash or butternut squash, cassava. Starchy vegetables are high quality carbohydrates that children normally love. They are filed with fiber and when eaten lead to feelings of satiation. If you are afraid of giving your child carbs then please read this: Carbs: The best ones and healthiest Way to Eat Them. Intact whole grains: brown rice, kamut, barley,whole oats, quinoa, bulgur wheat, wild rice. Children cannot live on fruits and vegetables alone (here is why). Most children can enjoy whole grains and there are many benefits for including them on your child’s plate. Whole grains contain zero cholesterol and are low in fat and high in fiber. They are best eaten with vegetables and fruit. Here is a twice baked sweet potato tzimmes recipe that children love. Tubers like potatoes, sweet potatoes, yams are naturally sweet and universally loved by children. Sadly children are given chips, french fries or tubers loaded with butter and cheese. Enjoying tubers grilled, baked, boiled, mashed and as soup without butter and oil is the best way to serve them. Instead try serving baked tubers with with salsa or fat free salad dressing. Try this delicious coconut milk sweet potato soup. Minimally processed foods should make up most—if not all—of our child’s daily calories (and ours too). Adding more minimally processed foods to your child’s (and yours too) daily routine is simple. An added plus is that the more you serve these foods, the less room there will be for the less healthy foods. Here are 17 more plant based recipes your child will love. Your turn: Which of these healthy food does your child already love? Next 28 Yiddish Phrases About Children That Will Make You Raise Your Eyebrows, Especially The One That Is An Insult.